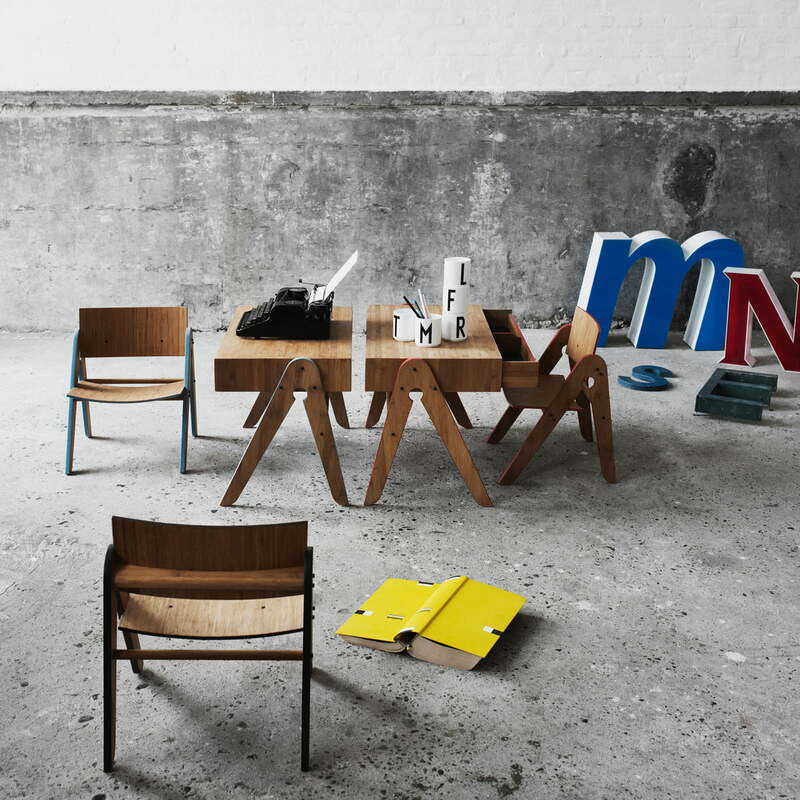 Geo's Table from We do wood is an example for the versatility of Scandinavian furniture: The small table is equally suitable as side table and as desk for children. The We do wood Geo's Table is a sustainable, environmentally friendly side table and children's desk, which bribes with its Scandinavian handcraft and an unpretentious, optimistic style. We do wood produces the Geo's Table out of bamboo and this isn't only great for nature: The fast re-growing wood has antibacterial qualities. The Geo's Table has a big drawer for paper, pens, toys and all kinds of small items. Lateral frontal product image of the Geo's Table in light grey, designed by Sebastian Jørgensen for We do wood. 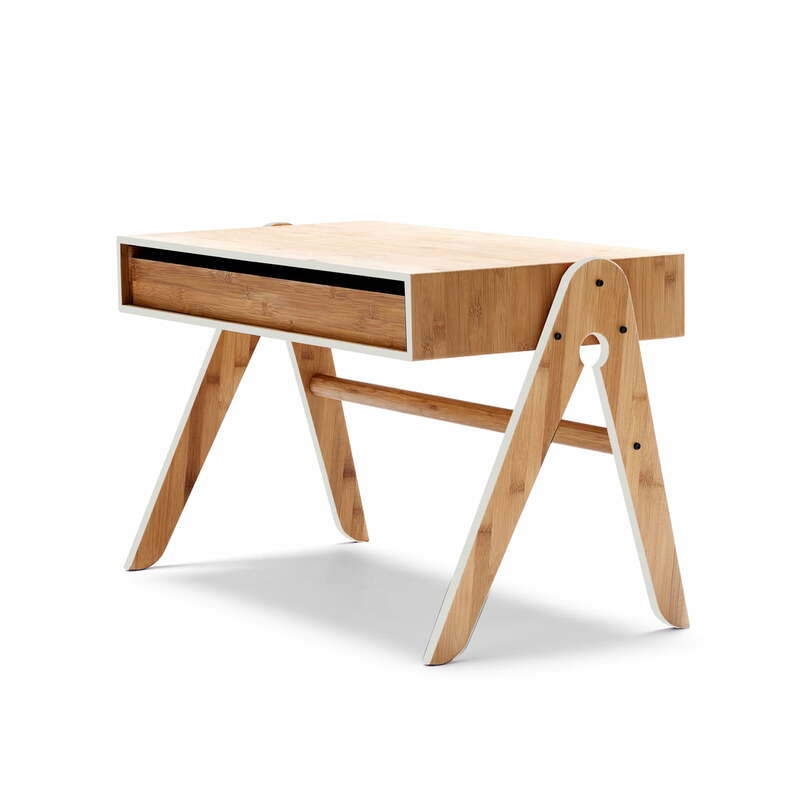 The shapely children’s desk can also be used as small side table. Geo’s Table by Sebastian Jørgensen for We do wood is an example of the versatility of Scandinavian furniture: The small table is equally suitable as side table or children’s desk. Combined with the Lilly’s Chair and Design Letters AJ Porcelain Cups, Scandinavian, optimistic style is ready to move into your home, too.